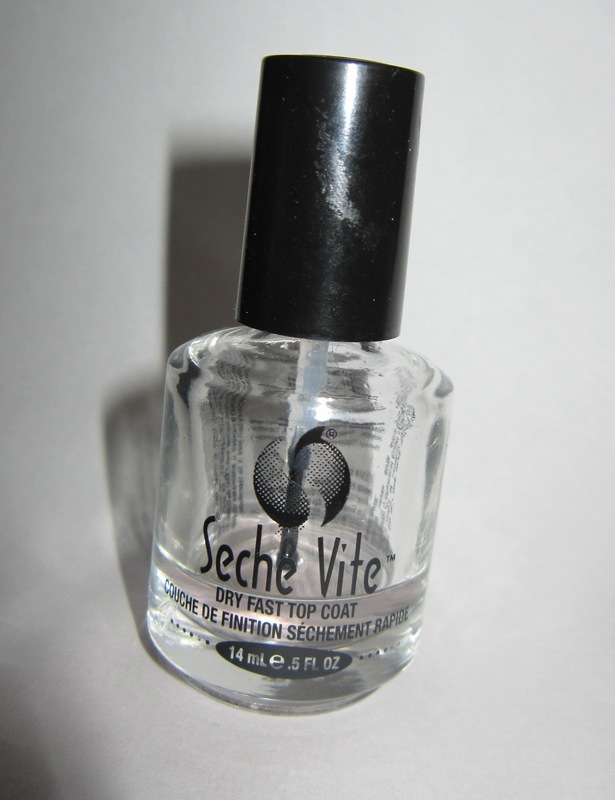 So I realized that my town had a Sally's Beauty Supply two years ago, ever since then I have been using Seche Vite top coat. It recently has run out and I've been using this cheap one from CHI that I got for free with my straightening iron. Now let me just tell you, you really do not know what you have until it is gone. I am used to painting my nails laying in bed watching TV shows or Youtube with no problem, that was until Seche Vite ran out. I reverted to the cheap alternative I had which made my nails thick with fingerprints / fabric and whatever else imprinted on them because it took FOREVER to dry. 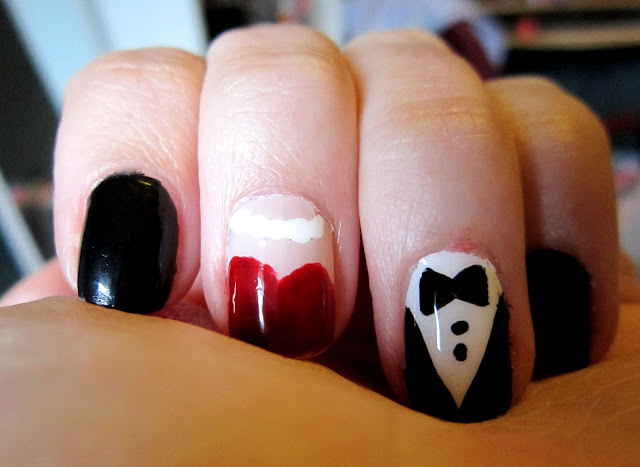 As well as the dreaded bubbles that form when your nail polish is too thick and looks awful. I had become spoiled by Seche Vite, not only does it really dry fast which is its name en francais, but it happens so quick and hard that you don't even realize and you just start moving on to other things. It does have its downfalls, there was major beauty community dramz about a year ago because it says it can harm a baby or something crazy, I dont know. I'm too lazy to squint and read the bottle but I googled already knowing I wouldn't give it up and it didn't seem so serious. It also gets goopy as all hell after a couple months, but when that starts happening, I still use it cause I'm cheap but it is also when the brush can barely reach because its so low and you want to throw it out anyways. Essentially this product is not the best, but is also soooo amazing that I really don't see another alternative because it is so shiny and glossy and makes any polish that may come off hideous at first, look great. If you are reading this please tell me what you use as a top coat, I kind of want to try the Essie Fastest Drying Top Coat, but I don't know. Opinions and suggestions are always welcome! I was inspired by this photo on tumblr, and learned how to do the tuxedo by CutePolish, and I love it. Literally anyone who was close enough to notice them complemented them. I'm not huge into nail art cause I think a lot of the time it looks tacky, sometimes that is what I'm going for but yeah either way its just for fun.